This hike has alot of history to offer! With a rich past in Native history (Chochise and Geronimo) and the conquest of the American west by the US. 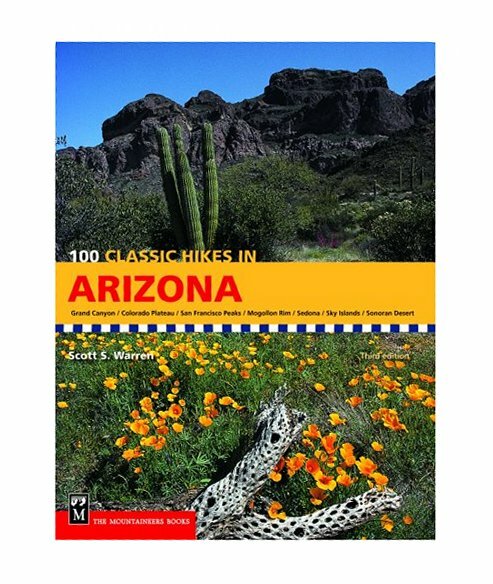 The Trailhead to Fort Bowie begins from a parking lot on the graveled Apache Pass Road that runs south from the town of Bowie, or east from Ariz. 186. A 1.5 mile (3 mile loop) interpretive trail gives all the details of history which occured in the area. The first trail junction from your left is the return route so stay on the trail heading straight. The first ruins to be seen is an old miners cabin sight. The famous Butterfield Overland Trail can be seen along with the ruins of its stage station. Next comes the post cemetary were still rest some civilians killed by apaches along with "Little Robe" one of Geronimo's sons. The U.S. Army casualties had been moved to San Francisco in 1895. The next sight is ruins of the adobe foundation of the Chiricahua Indian Agency which hints at the spirit of cooperation that existed during the first years of the Chircahua Reservation. Next is a recreation of an Apache Wickiup which gives the sense of what life was like in the ancient of days. Farther still come the Apache spring. The focal point for of which this history occured. It was the only reliable water source for miles, and both the US establishment, and natives were reliant on it. For that reason there was much bloodshed over this source of water. The spring still runs, however signs around it say not to drink it. So examining the water it looked clean and clear, so I tasted it, and it was good. Far better than any tap water I've had. Just drink at your own risk. There is water available up at the visitor center not far from the spring, so I would advise just to wait until then. Next comes the ruins of the first site of Fort Bowie, a smaller fort situated on top of a small hill which a small side trail leads to 1/8th of a mile away. 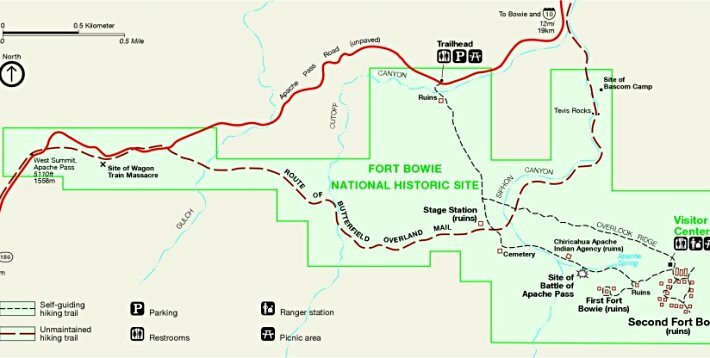 Retrace back down the trail to head up east to the much larger ruins and the grand site of the second Fort Bowie ruins. There is a visitor center filled with artifacts, pictures, and books of the area. Water is available outside of the visitor center. Also note that this does not get an extreme amount of visitors due to the fact the only way to access the ruins is by the 3 mile loop hike. So you may have the place to yourself. The return trail heads up to Vista point which a small and steady climb to the top of a hill will give an overview of the forts sites, and also give a good vantage point of the valley. The trail then switchbacks back down the hill to intersect with the trail you started on. This may be a little rough for small children, but I would rate it slightly moderate. This is defenatly a hike to do if you like to hike to see historic sights, and this trail by far gives a great tour through the history of the area. At times its seemed as if I had traveled back in time. From Tucson take I-10 east to Willcox. From Willcox take Ariz. 186 22 miles to gravel Apache Pass Rd. Head east into Apache Pass Fort Bowie NHS Trailhead parking lot.